On one particular occasion I had journeyed home on Interstate 69 from a board meeting in Anderson. I was incensed at what I had witnessed. I began to lament to the Lord at great length on the drive of my displeasure. In the midst of my struggle, the Lord dropped a thought in my spirit. In all my sorrow and complaining, not once did I use language of unity; not one time did I speak as though I was in relationship with those who had offended me. I spoke of them and they rather than us and we. Today it is easy for me to recount this story, but it was very hard to live in that moment. For what happened to me on Interstate 69 transformed my life; I saw myself. I saw my prejudices! Through my tears of sorrow and repentance, the very next words from my mouth were, “Lord, use me in the healing.” That day, my life changed and I sought to be a reconciler. Six months later, I was serving on staff in the one place I thought I would never be. Ephesians 2:14 has become my guide, “For he himself is our peace, who has made the two groups one and has destroyed the barrier, the dividing wall of hostility.” Dr. James Earl Massey says in his book Concerning Christian Unity, “The first step of unity is going beyond once hard-set boundaries; when this happens believers discover each other in other settings and begin to share their experiences. They will then discover their common faith, the contagion of each other’s witness and the embracing love that they could not defuse.” I learned I had to focus on those things we had in common, rather than those things that separate us. In 2002, I joined the staff of Women of the Church of God; I witnessed barriers being broken. I became very passionate and committed to my assignment and the ministry of reconciliation, even as I faced periods of adjustments and challenges. God, being who he is, showed me that there are no coincidences in our life, but days that are numbered. My first speaking engagement in my new position as ministry coordinator was from the theme, “Together We Reconcile!” I took this as confirmation that I was where God would have me be. Fast forward to today. Events in our nation have caused a revival to stir within me. I have found myself being thrust into situations that have fanned the flame of my calling; then I heard “Break Time.” What I came to realize was that over the last thirteen years, I amassed a long list of what I had accomplished, but I was losing the fire of why I was doing it. I took a much-needed break and asked myself, “Why do you do what you do?” The answer led me back to Interstate 69 when I said to the Lord, “Use me in the healing.” The fire has returned. I have been challenged over and over by events inside and outside the church to live out the challenge Mordecai gave to Esther, “Who knows that you have come to the kingdom for such a time as this.” The time is now for reconciliation! Paul reminds us in 2 Corinthians 5:16–20 that reconciliation is not a choice; it is a mandate from God for those who proclaim Jesus as Lord. 1. I belong to God! 2. God loved me so much that he sent his Son—reconciled me back to him. 3. When I accept God’s unconditional love, loving others is made easier. 4. 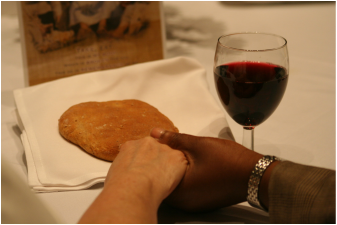 I can no longer respond as the world does; Christian unity is a divine gift from God. 5. My life must be a reflection of who God created me to be. 6. I cannot achieve reconciliation on my own; it is a gift of God through Christ Jesus. 7. To be reconciled with others, I must first look at my heart. 8. I must forgive others before they ask for it. Do not count people’s sins against them. 9. I am Christ’s ambassador. The world will know that we are Christians by our love. 10. We must learn to listen to one another. If one part suffers, every part suffers with it. Rev. 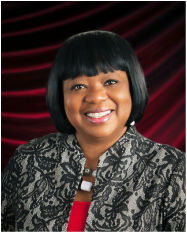 Arnetta McNeese Bailey is the executive director of Christian Women Connection and the founder and executive director of Priscila’s Lost and Found and In the Company of Good Men. With a passion for the church and for reconciliation, Arnetta is a sought-after preacher and teacher. Article republished by permission. Learn more about Christian Women Connection at www.christianwomenconnection.org. Hear Arnetta speak at the Regional Conventions this year: www.chogconvention.org. This entry was posted in All Church of God and tagged Arnetta McNeese Bailey, Christian Women Connection, CWC, healing, oneness, Reconciliation, regional conventions, speaker, unity, Women of the Church of God. Bookmark the permalink.